A Junk Removal Company That Does It All! We at JunkBoys always do the best we can when it comes to professional junk removal. So it’s always great to hear how satisfied someone was with our work. Here is what one happy customer had to say. When I was selling my house I needed to find a Toronto junk removal company. I was getting rid of a lot of stuff I didn’t need anymore and didn’t want to do all of the work myself. So I searched online and found a company called the JunkBoys. They just happened to be serving the area where I live which is Toronto. I imagined them to be just some big guys with a truck, but when I did further research on their website I noticed that they were a lot more than that. I was very impressed with the fact that they offer professional service by people who seem to care about their job. They scheduled an appointment that was convenient for me, showed up on time and removed my items without me lifting a finger. What a nice surprise from a Toronto based rubbish removal company! During their visit I learned something else about the JunkBoys, something I overlooked on their site. It turns out that they even recycle and give useable goods to the needy. And since I had some stuff that was in good condition and still worked, they donated it to charity. This of course made me feel even better! 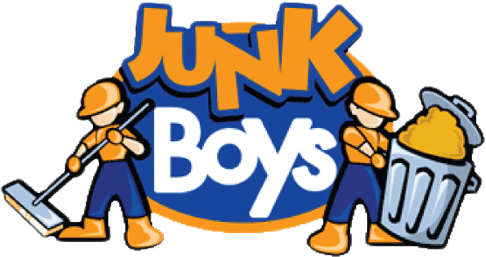 Now I know for sure that if I ever need old junk removed again, I am definitely calling JunkBoys and I highly recommend them to you!